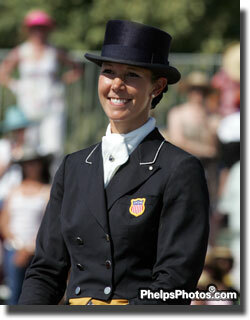 Wellington, FL – April 16, 2010 – PhelpsSports.com, the world’s most popular, most talked about, and fastest growing equestrian news website, is pleased to announce an exciting addition to this season’s comprehensive event coverage. Members of the PhelpsSports.com team will be traveling to Lexington, Kentucky, next week to cover the 2010 Rolex Kentucky Three-Day Event as well as the Kentucky Cup Show Jumping and Dressage Test Events in preparation for the 2010 Alltech FEI World Equestrian Games. Held in conjunction with the Rolex Three-Day Event, the WEG Test Events will feature some of the biggest stars in the sport competing at the Kentucky Horse Park’s brand new venues. Following this special coverage, Phelps Sports.com will be offering comprehensive coverage of a vast array of important summer equestrian events across the United States and around the world this summer. Key stops along the summer trail will include the Spring and Summer horse shows in Kentucky, the Devon Horse Show and Country Fair in Devon, Pennsylvania, the inaugural Pfizer $1 Million Grand Prix in Saugerties, New York, the North American Junior and Young Rider Championships at the Horse Park in Lexington, plus all of the action from five weeks of action at Spruce Meadows in Calgary, Canada. Geneva (SUI), 15 April 2010 – The FEI Bureau today gave its unanimous approval to new Stewards’ guidelines on warm-up techniques produced by the Working Group formed after the round-table conference held in Lausanne on 9 February 2010. One of the key stipulations in the Working Group’s report was that all unacceptable training methods and techniques must be stopped immediately. The Working Group was also insistent that abuse of the horse should be avoided and, in particular, stressing the horse, aggressive riding and inflicting pain and/or discomfort on the horse must be prevented. The current guidelines for FEI Stewards already include instructions covering aggressive riding, but the Working Group has created a new Annex (XIII) that includes clear instructions on action to be taken if necessary relating to flexion of the horse’s neck during pre and post-competition training. For more updates visit Courtney King-Dye’s website. Courtney King-Dye’s Facebook Fan Page. Visit the Succeed Ebay Auction page to buy items and support Courtney. April 15, 2010 – Lexington, KY – ABC 36 WTVQ-DT has announced a partnership with Horse Capital Productions to be the Official Local Media Partner for the 2010 International Equestrian Festival (IEF), held this fall in the city’s centrally-located convention center beside the iconic Rupp Arena. 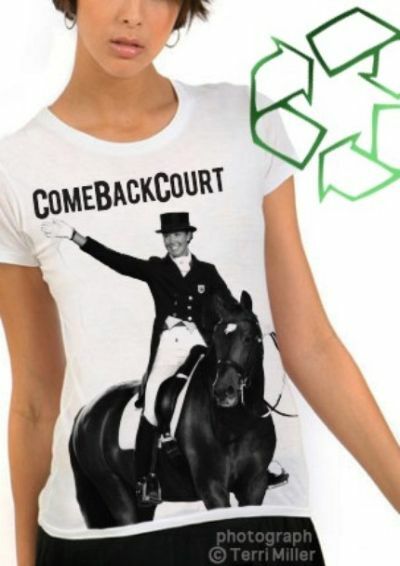 The sponsorship by ABC-36 of the multi-million dollar festival comes in anticipation of the television network’s new schedule to include equestrian-related news and special interest programming. April 15, 2010 – (Wellington, Florida) – On April 3, the Village of Wellington played host to the world’s first international gay polo tournament. Two days later, Village Attorney Jeffrey Kurtz rejected a local gay rights group’s request to revise the Village’s employment policies to prohibit discrimination based on sexual orientation and gender identity. “The people who bring their horses — and their dollars — to Wellington are extremely gay friendly,” said Rand Hoch, President of the Palm Beach County Human Rights Council. The Council is a local non-profit organization dedicated to ending discrimination based on sexual orientation, gender identity and gender expression. “Gay men and lesbians have long been a very visible part of Wellington’s equestrian community,” said Jamie Todd Foreman, an openly gay attorney who lives in nearby Lake Worth. Geneva (SUI), 13 April 2010 – “If your horse is found to have a banned substance in its system, you are looking at a two-year suspension,” FEI Veterinary Director Graeme Cooke warned riders competing at this week’s Rolex FEI World Cup Jumping Final. The warning came at the riders’ briefing before the start of five days of competition in Geneva (SUI) as part of the FEI’s drive to raise awareness of the Clean Sport Campaign. The Rolex FEI World Cup Jumping and Driving Finals are the first major competitions since the new Equine Anti-Doping and Controlled Medication Regulations and Veterinary Regulations came into effect on 5 April 2010. Riders were provided with Clean Sport Information packs containing an updated Athlete’s Guide and a brochure outlining How Testing Works, both of which are also available online at www.feicleansport.org. These publications have been sent to all National Federations for distribution to stakeholders. WHY: Clarence Scharbauer III, whose family raced Horse of the Year and Kentucky Derby winner Alysheba, has commissioned a bronze statue for Alysheba’s grave, created by sculptor Shelley Hunter. Before coming to the Kentucky Horse Park, Alysheba spent the previous eight years of his life in the royal stables of His Majesty King Abdullah of Saudi Arabia. Known on the track as “America’s horse,” he was sent to the Kentucky Horse Park as a gift from His Majesty to the American people in October 2008. Hall of Fame Member Anne Windfohr Marion and The Burnett Foundation dedicated to preserving American Quarter Horse history. America’s Horse, April 12, 2010 – The American Quarter Horse Foundation announced during the 2010 Convention it had received an unprecedented gift of $3 million to the Foundation’s operating endowment from Hall of Fame member Anne Marion and The Burnett Foundation. 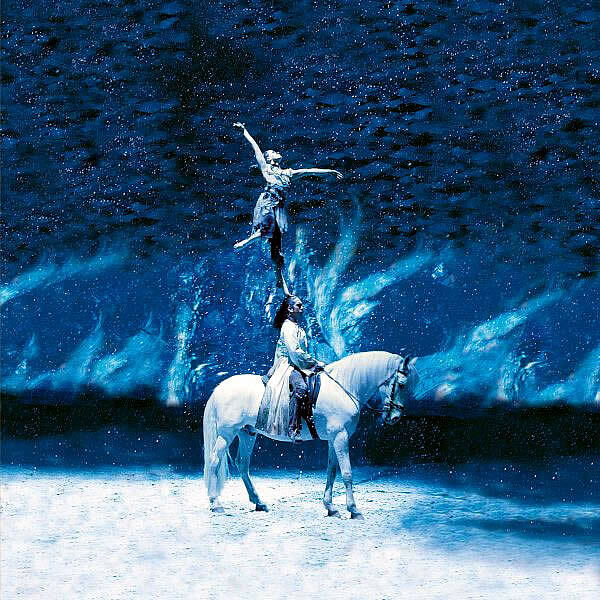 Cavalia, the incredible equestrian odyssey. Is Your Colt Ready to Be a Mane Attraction? Cavalia – the spectacular equestrian odyssey – conducts search for two local Charlotte colts to join the production. The two chosen colts will star in the opening scene of Cavalia for the entire run of the show in Charlotte. The colts will live the celebrity life on-site at the Cavalia stables with the other stars of the show. The show opens with the entrance of the colts on stage. They discover their surroundings, play with each other and with the toys lingering on stage, then the artists make their entrance and the colts “greet” them. The search starts Friday, April 9, 2010. The search closes Friday, April 16, 2010. Finalists will be chosen and notified the week of April 19, 2010. The winner will be announced Thursday, April 22, 2010.